The iPad Sync/Charge Station is designed to store, charge, sync and transport 36 iPads. 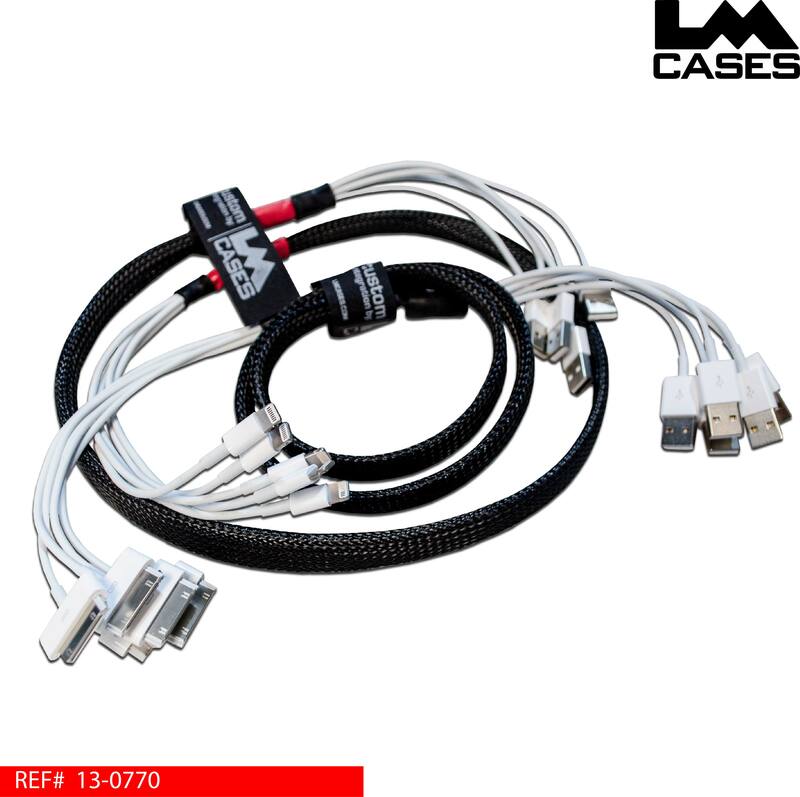 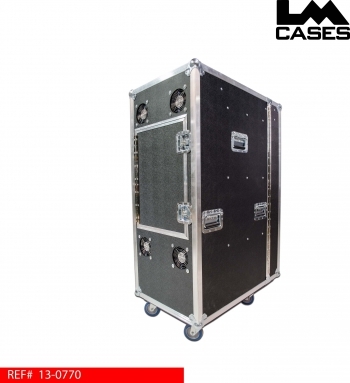 The case features 36 individual slots, with individual cables that accommodate each device. 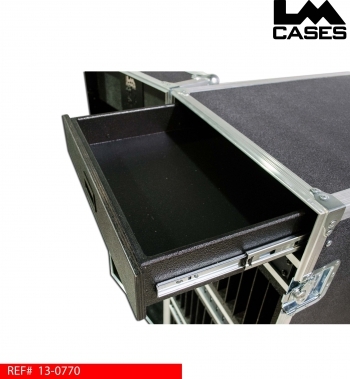 All equipment was spec'd and installed by LM's in house Custom Integration department. 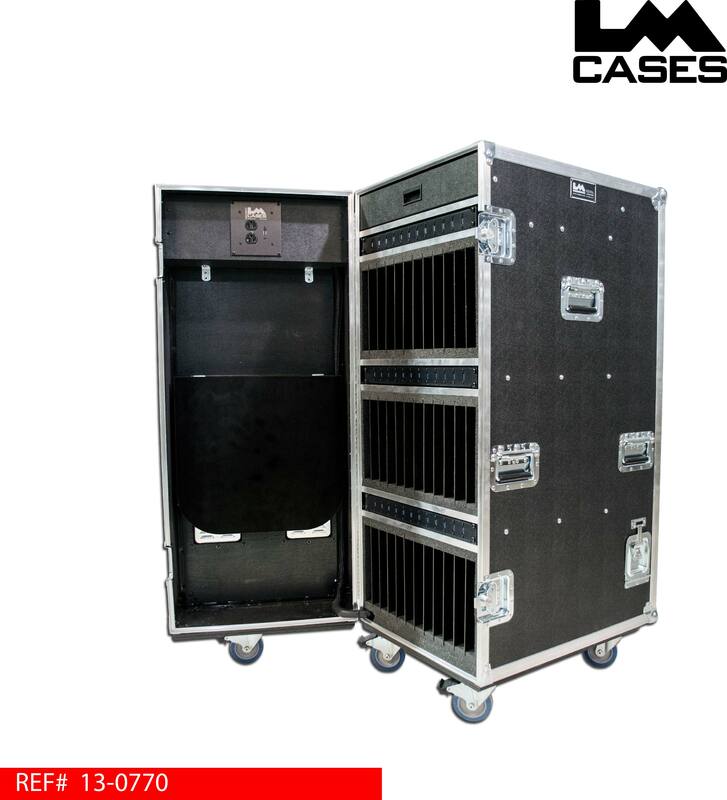 Power is supplied to the case via a 30ft extension cord mounted on a retractable reel eliminating the need to carry an extension cord. All power is filtered through a line conditioner that provides a constant 120v to all devices and protects against power surges and sags. The iPads are connected to custom front mounted panels that feature USB 3.0 cables that connect to the sync units. 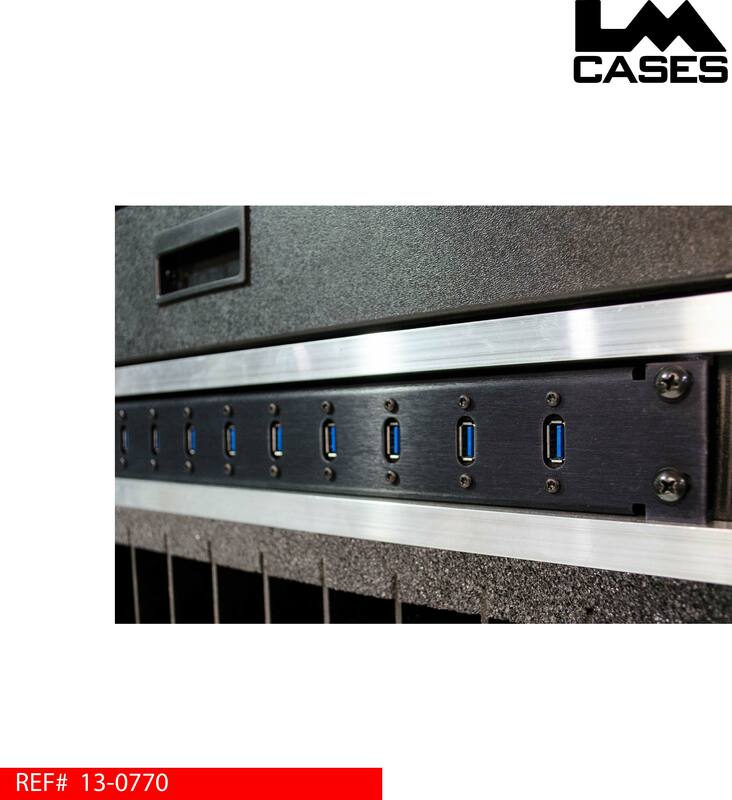 Relocating the USB ports above each compartment allows for better cable management and access to the ports without the need to reach into a compartment. Each panel features 12 USB ports, the CI department created bundles of 6 USB to Lightning/30 pin cables to keep all cords organized. 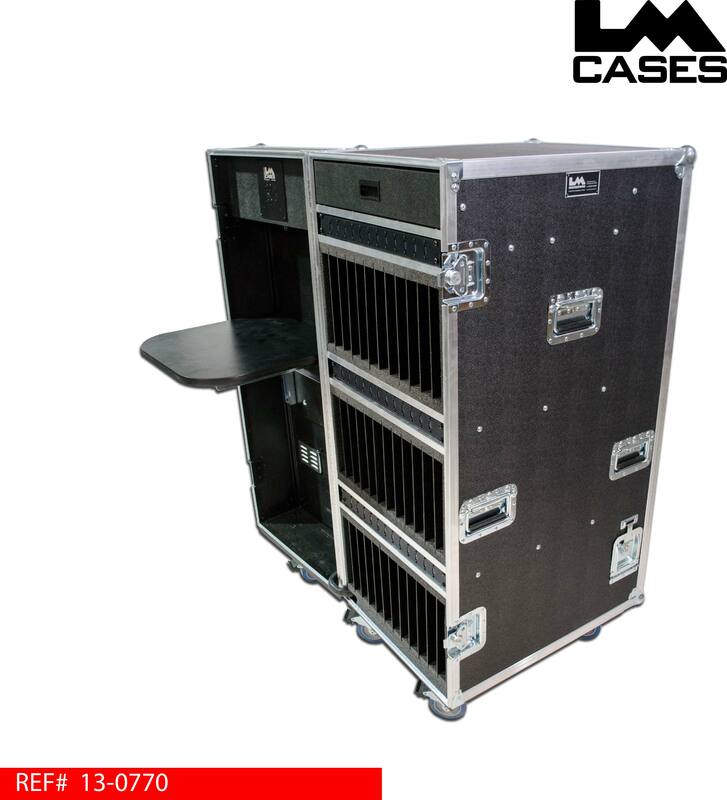 A flip up table is mounted in the lid to provide a place to hold a laptop while syncing the iPads. 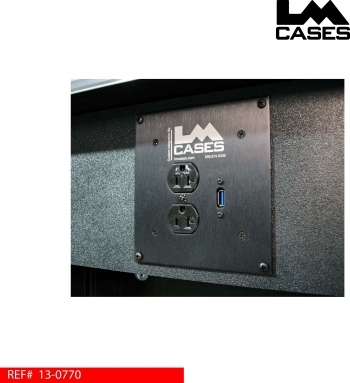 A dual outlet plug and USB sync jack are located about the flip out table to power a laptop and provide the sync input for the iPads. There is also a drawer mounted in the case interior for additional cables and accessories. 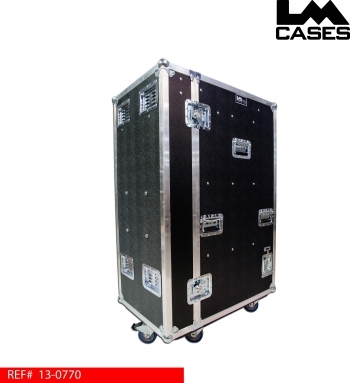 The exterior case is built out of 3/8" plywood and features 4" Colson casters, deep recessed handles and cooling fans allowing the case to remain closed and locked while the iPads are charging.